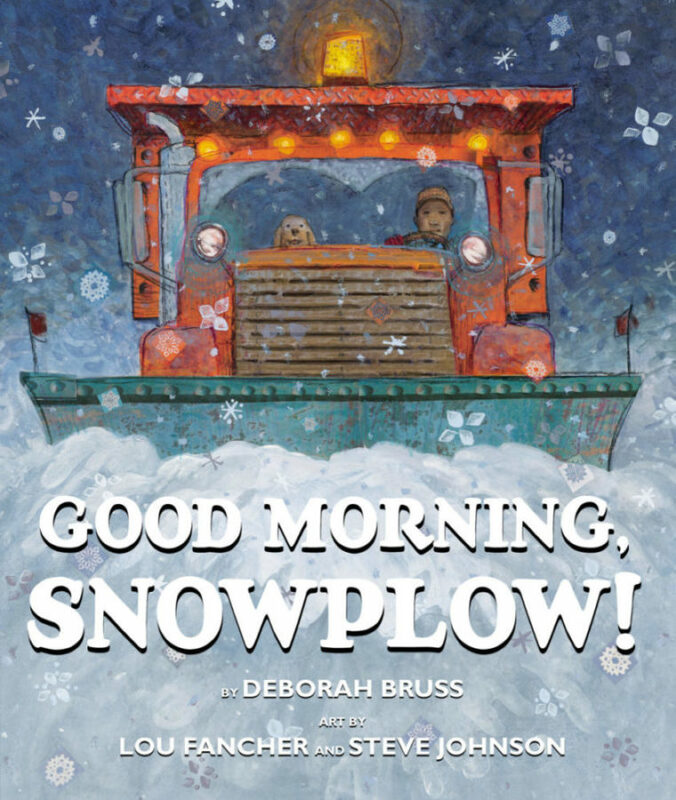 To win the book, submit a comment to this blog to let us know your favorite thing about a snow day. (Update: Congratulations to Carol, our lucky winner!) Send your comment by Wednesday, February 20; one lucky teacher will be randomly selected to win. While you’re waiting for that snowplow, take a peek at this week’s fun freebies and contests. Early childhood teachers, check out the newest activities shared by the Peppa Pig Teacher Team. Focused on the theme When I Grow Up, these free ideas include printable play props, a coloring page, send-home booklet, out-of-this-world craft, and more. 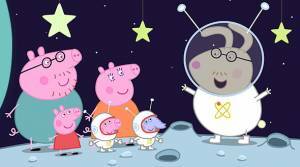 This month’s featured episode is “A Trip to the Moon.” Click here to download the activities and enter for a chance to win an Amazon gift card and Peppa Pig prizes. Does your school’s custodian go above and beyond? Cintas Corporation is accepting nominations for the sixth annual Custodian of the Year contest. Nominate your custodian for the $10,000 prize package at cintas.com/BestCustodian by March 4. The Saving Endangered Species Youth Art Contest challenges K–12 students to illustrate endangered plant and animals species. The grand prize winner gets a trip to Washington, DC, and four others get plaques and art supplies. The deadline is March 1. 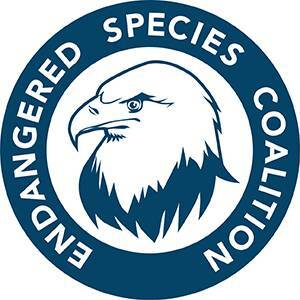 Get the details at endangeredspeciesday.org. I have lots of favorite things about snow days. Suddenly I want to bake bread and cookies and fill the house with delicious scents. And, of course, I do love to see the snowplow coming! PS: There’s still time to enter Diane’s First Friday Giveaway and our giveaway with Westcott Jellies scissors, which have super-squishy gel-grip handles. Enter now! Being able to stay in and read a good book and watch the snow fall. Sleeping in, watching Good Morning America and Kelly and Ryan, and baking. My favorite thing about a snow day is hanging out with my own children. We like to go sledding and then come in for hot chocolate. Cuddling by the fireplace with my husband and drinking hot cappuccino. Definitely sleeping in, and crazy enough I get a lot of cleaning accomplished. No snow days here in South Texas, but those snow days in Missouri when I was a kid were so much fun. Loved going outside to sled, skate, and build snowmen. On Snow Days I usually can’t go anywhere. It’s nice to stay home. Sometimes I catch up on things that I haven’t had time to do Other times I use the day for myself. I watch movies/TV, stay in my pajamas. When my children were still at home we would go outside and play in the snow. I guess what I really like is that it’s an unplanned day off. Drinking hot chocolate, reading a good book and watching it snow while still in my pajamas! I love being able to stay home with my kids and snuggle on the couch while watching movies! Making bacon and eggs for breakfast! Going back to sleep and then having an extra cup of coffee. Hot chocolate and baking chocolate chip cookies!!! Sleeping in and hot chocolate! Snuggling on the couch with my blanket and book. My favorite thing about snow days is staying in my pajamas! My favorite snow days consist of staying home with my own children, trying recipes that I don’t usually have time for and catching up on lesson planning. I also use that time to catch up on new children’s books that I haven’t had a chance to read and incorporate into my classroom. Nothing better! Well my school is now on day 12 of snow days. When its called the night before I like not having to set alarm. Time to search for different ideas to implement in the class. And i enjoy baking as since its just me I dont do much of that. Snow days mean pj day and reading. Honestly, sleeping in. I love to be able to stay in bed just a little bit longer and snuggle with my honey and my kitties as long as I can. Usually, I’m the first one up and out the door so it’s a real treat on snow days to sleep in. I love the magic of having a sudden vacation day! My favorite thing about a snow day is being able to sit in front of my heater with a cup of coffee and a good book or just watching the snow fall. I also love watching my 2 dogs run around like puppies in the snow. Seeing lots of snowplows in Western Montana this week along with the cold. -28 degrees without the wind chill. Brrrrrrrr! Oh my gosh! Must sleep in…….must stay in jammies until noon and must drink lots of yummy coffee and enjoy the quiet ???? My favorite thing about a snow day is the anticipation of watching the school names scroll across the tv screen…waiting and waiting and then….CLOSED! Then it’s time to jump back into bed and stay in pjs all day! I love having a day off enjoying the beautiful snow! Love being able to sleep in a little longer and then enjoy baking or crafting. My favorite thing about a snow day is getting to play in the snow, especially sledding down a hill. I work in our before/after school program so we are open on a snow day. Sleeping in and staying in my pajamas all day! Making scarfs for my students and planning fun hands on games. We recently moved from North Carolina to Missouri. Our kids are still apologizing for this winter’s weather! Snow days mean staying in my pajamas, making homemade soup and baking cookies. My favorite snowy day activity is playing board games with my children at home by the fireplace. Cuddling my dog and catching up on my OWN reading! A snow day means looking out the window at a winter wonderland, being outside in a special kind of quiet, and enjoying a day with your own kiddos! My favorite part about having a snow day is the feeling of relief that I don’t have to be out on the roads. I can enjoy the beauty that the snow brings to the surroundings. Watching how excited my son gets when he hears a snowplow coming down the road! My favorite thing about a snowy day is the relaxation and enjoyment I get from watching the white fluffy snow fall from the sky. Not having to go out in the cold and snow. Still working but able to do some work at home while staying warm. What’s not to love? Sleeping in (especially if you find out the night before), avoiding bad roads, a big breakfast, binge watching a favorite show, long calls to friends and family who are home as well, etc. etc. Staying in my pj’s all day and just lazing around all day. Schools are closed and we can have Family Time playing in the snow. We can build snow people, make snow angels, build a fort and have snow ball fights. Afterwards we some hot chocolate with miniature marshmallows. Catching up on projects for school or home. A snow day is a time to stay out of the cold in Minnesota! My favorite thing about a snow day is having the day off from work and not having to set my alarm. Being able to lay in the bed in my pj’s and watch it snow and also watch TV!